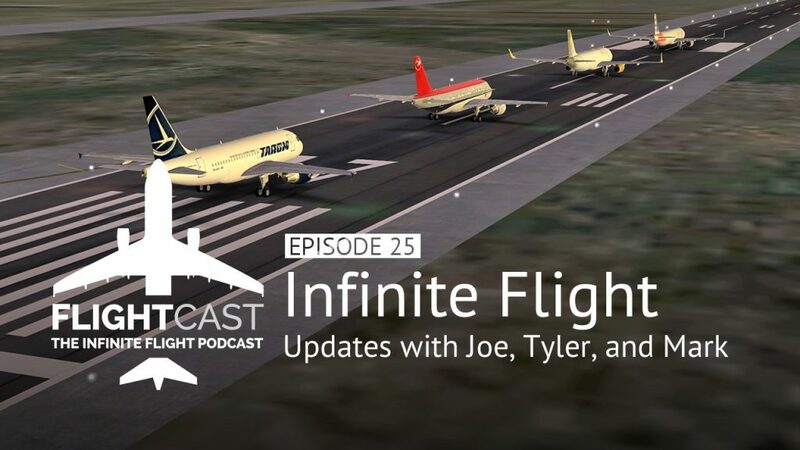 In today’s episode, Jason and Mark are joined by Tyler Shelton and Joe Reilly to give an Infinite Flight Update on what’s coming and some clarification on the newly implemented and controversial ground speed rule on the Advanced Server. Listen in to hear about a potential tail number contest that’s in the works, as well as some talk about global flight! When the two guys (sorry I don’t know who was talking) were saying that they flew from Kuala Lumpur to Singapore they were together, is that a new feature coming or were they flying different planes. I can´t play the podcast, there is no play button available. Sorry to hear that. If you’re having trouble, please consider checking the podcast out on iTunes or a podcast app for android. Alternatively it is available on youtube. No play button for me as well and the YouTube link doesn’t work. Sorry guys – squashed a bug. The player should appear now. And YouTube has suspended our account for an unknown reason. No luck having it reactivated so far. Oh that stevo he’s real good, I wouldn’t miss it if he comes here.